Painting colors, lightness, saturation, and so forth onto photographs can be great fun. If done correctly, it can also produce some very attractive, creative pictures. Akvis MultiBrush ($49, 10-day free trial) is a very basic image painting program that provides some nice tools, but they are limited and require skill to be able to use them. 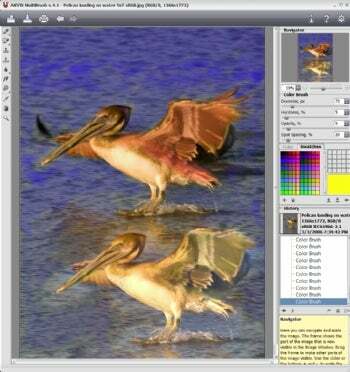 Akvis MultiBrush provides a limited--and sometimes difficult-to-use--group of tools for painting on your photographs.